rapidly you wish to lose it. Our Low Calorie Diet (LCD) plan was designed by Medical Bariatrics of America (MBA). The New Direction® Very Low Calorie Diet (VLCD) plan is a medically supervised, ketogenic fast. 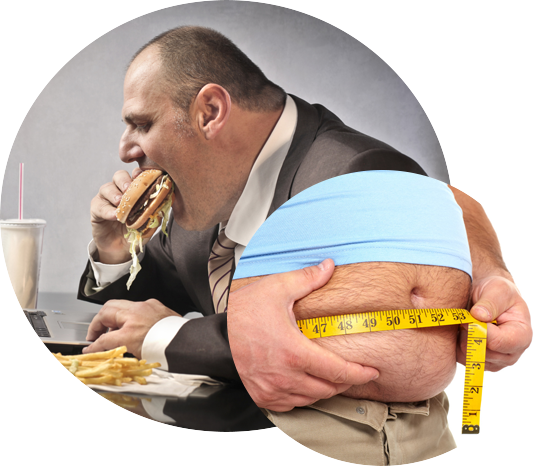 Obesity is a multifaceted, chronic and progressive disease. Many people think “Eat Less, Exercise More” is the only thing that needs to be done to lose weight. Those folks are wrong! Medical Bariatrics is the nonsurgical treatment of obesity by a health professional trained in addressing the many different factors that contribute to the problem of obesity for effective treatment and long-term success. Weight loss is only part of the treatment plan. Maintenance of healthy weight over the long-term is truly the goal of treatment. Without the help of a Bariatrician and long-term treatment, the risk of regain is over 90%! that needs to be done to lose weight. Those folks are wrong! Obesity is an epidemic. 35% of Americans are obese and another 33% are over weight. Obesity is a major contributor to many medical conditions such as diabetes, hypertension, high cholesterol, blood clots, heart attacks and joint destruction. Obesity is a major contributor to over 400,000 preventable deaths each year. Physicians are the best qualified persons to address the multiple problems that contribute to obesity – metabolilsm, psychology, behavior and nutrition. LOSE WEIGHT WITH A MEDICAL DOCTOR!